Maddox LOVES his new ActivArmor! Maddox is a VERY active young man! 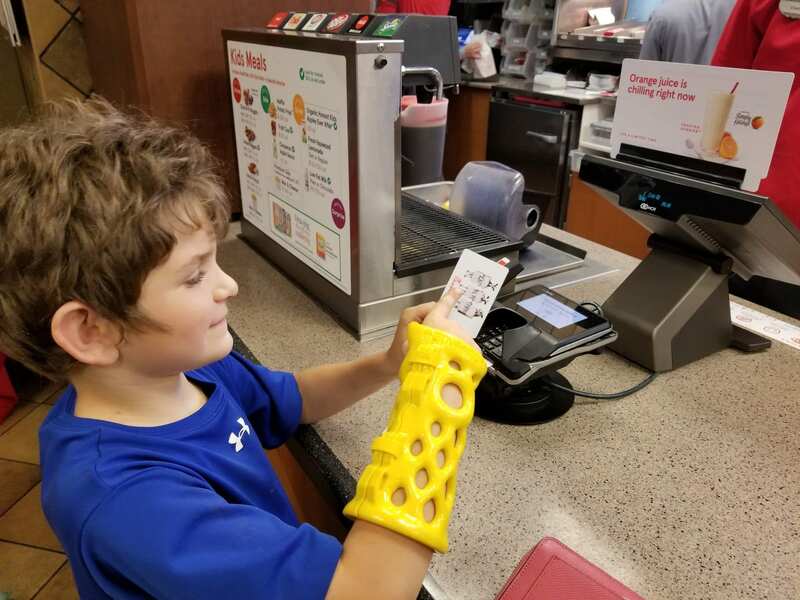 When he was diagnosed with a fracture in his arm, he had to look forward to a summer in a bulky, smelly cast or splint. But, instead, his mom discovered ActivArmor (TM), at the Fitzmaurice Hand Institute, in Scottsdale, AZ. 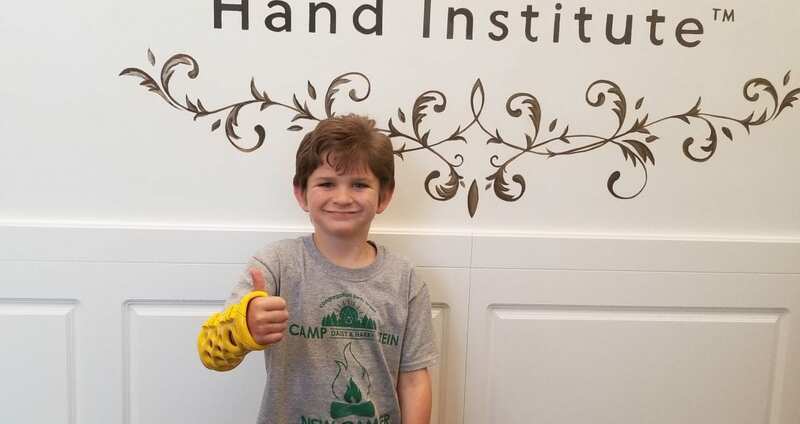 Now, he is able to heal in a waterproof, breathable, hygienic, fully custom, 3D-printed splint. 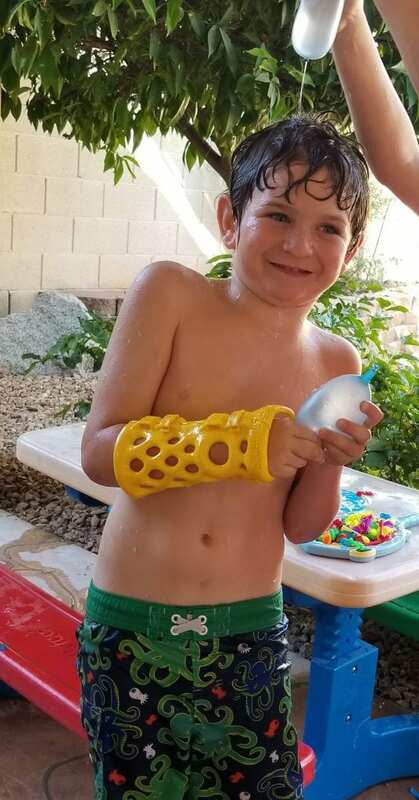 Maddox’ mom was super excited to find a better alternative, to traditional, old-technology, smelly casts or splints. And Maddox loved it! And, if you are in need of immobilization of upper arm or hand, and live in the Phoenix area, visit Fitzmaurice Hand Institute, and ask for your own!